YOU ARE HERE: Homepage > BBQ & Grilling Technique And Science > Dehydrating Meats, Peppers, Tomatoes, Fruits, Etc. Smoke dried tomatoes are incredible. Toss them in a salad. On a pizza. In a soup. Endless possibilities. Sweet like raisins. Seductively smoky. I don't have to tell you how great jerky is, but smoked jerky turns the dial up to 11. And once you make them yourself, you'll never buy dried chipotle chilies again. It is fairly easy to dehydrate foods on a grill or a smoker if you can control your temperatures and keep them down low. Remember, meat is about 75% water so it can take a long time to dry it out and make jerky, and if the temp is too hot it will overcook or burn the exterior. For this reason, pellet smokers are ideal since they have set it and forget it digital controls, and most can be set under 200°F. Grills and smokers are great for drying meat to make jerky, tomatoes, and chilis. Indoor electric dehydrators are better at herbs, kale, and fruits. To dry and smoke foods you need indirect heat, so you must use a 2-zone setup on a grill. Most smokers are designed for indirect cooking. On kamados you need to use a deflector plate, and a mesh grill-topper comes in handy. I am a big fan of the non-stick narrow mesh Frogmats for the job, especially since they can be cleaned in the dishwasher. You can use both lower and upper grates if your setup allows. The hardest part is getting the temperature down low. If you have to, you can prop open the lid to allow hot air to slide out. Keep in mind that at low temps, it can take many hours to dry out wet things like meat and tomatoes so you will use a lot of fuel. One trick that works well if you have trouble getting the temp down is to smoke the raw food for up to 30 minutes outdoors, which is long enough to flavor it and kill most microbes, and then move it indoors to an electric dehydrator to finish the job more precisely. 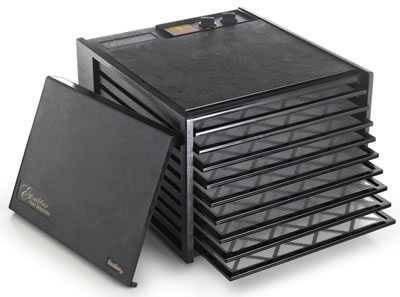 I prefer to do jerky, tomatoes, and chilies on my smokers, but for dried fruits, veggies, herbs, pumpkin seeds, kale chips, crackers, fruit and vegetable leathers, I use an electric indoor dehydrator. They can even bring limp potato chips back to life. They run into the thousands of dollars for commercial quality, but top end home units can cost around $500. Low end units cost as little as $120. The sweet spot is in the $200 to 300 range. You want one with an adjustable thermostat because meat must be dried at higher temps than herbs for safety and flavor. A range of 85°F to 165°F is ideal. A timer with an automatic shutoff is important too. 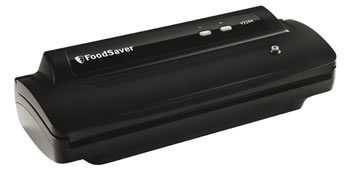 Sometimes you need to turn the food over or reverse the trays so an alarm is nice, although you can just set a kitchen alarm or the alarm on your watch or phone. The best models have the heater at the top, side, or rear. Drippings and crumbs can cause problems with heaters on the bottom. Some models stack the trays on top of each other and some load on a rack. Front loaders on a rack make it easier to watch the progress and rotate trays. With the heater on the side or rear, the airflow is horizontal so you can dry different foods at once without mixing flavors and all trays get pretty much the same heat and airflow. The trays can hold mesh for small foods like peas or cherry tomatoes, or solid non-stick sheets for making fruit leathers or purees. You want mesh that can be cleaned in the dishwasher. The non-stick sheets can be hand washed in the sink, but eventually you'll need to replace them. The two leading manufacturers are Nesco and Excalibur, although there are perhaps 20 or more manufacturers. Nesco makes mostly round devices with round trays stacked on top of each other, with the heater and fan assembly on top. Excalibur makes rectangular devices with the heater at the rear and square trays on shelves that can slide in and out of the front. Excalibur models also have an optional glass front door that makes it easy to see progress. Tribest is a noteworthy manufacturer because their Sedona model has programmable digital controls and displays and it is very quiet. I am a fan of the Excalibur models (I use the 9 shelf Excalibur 3926TB ) because the heater and fan are in the rear so there is horizontal airflow, I can remove the trays easily when the food on one shelf is done and leave other foods in, I can rotate the square shelves 1/4 turn at a time if I wish, and I got the optional glass door, so I see in easily. The biggest drawbacks are that it can be noisy, and you need to leave room above because the knobs are in the rear. The enemies of dried foods are bacteria, enzymes, oxygen, and moisture. Do it right and bacteria are killed, enzymes deactivated, moisture reduced to levels that will not sustain microbes, and oxygen removed so fats and other compounds don't go rancid. For this reason you should also buy a vacuum sealer so that when the drying is done you can store the product optimally. Vacuum sealing improves safety, flavor, and shelf life. Freezing will extend storage time even longer.